Swansea Bay Business Club held its annual Beaujolais networking event yesterday at a sold out Marriott Hotel in Swansea. Around 180 of the club’s members and their guests enjoyed one of the biggest dates in the Swansea social calendar and they were treated to an afternoon of entertainment from stand up comedienne and actress Tiff Stevenson. President of Swansea Bay Business Club, Paul Gardner, commented: “Once again we’ve played host to one of the biggest and best Beaujolais celebrations across the city and it was great to hear the whole room packed with our guests laughter as they enjoyed the iconic Swansea celebration that is Beaujolais. 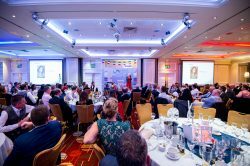 Swansea Bay Business Club will finish its 2018 networking season, sponsored by Prescott Jones Insurance, with another celebration event at the Marriott Hotel, where entertainer Stifyn Parri will join attendees at the annual Christmas lunch on Friday December 14. 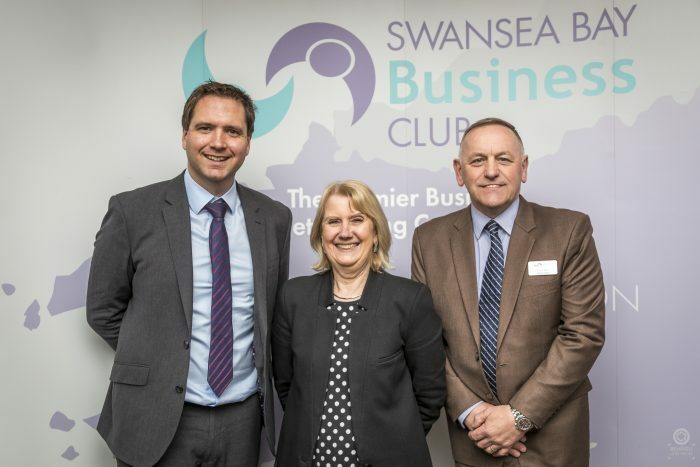 Tickets to Swansea Bay Business Club’s Christmas lunch with Stifyn Parri cost £40 for members and £45.50 for non-members. The lunch will be held at the Marriott Hotel in Swansea on Friday December 14, guests are asked to arrive from 12:15 for a 1pm lunch.